My name's Harriet but most people call me Hattie. 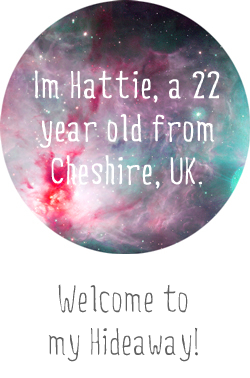 I am 22 years of age and live in Cheshire, which is North West England. I have just recently graduated from university with a degree in Forensic Biology and I'm currently working in Pharmaceuticals :). This is what I use to look like and this is what I look like now! As you can see I'm constantly changing my hair. I've been natural, blonde, brown, red, purple, ombre, long & short. I think I've pretty much covered everything! But for now I'm happy with my little pixie cut. I am a huge animal lover. If I could keep every animal in the world and give them a loving home I totally would. At current I am Mum to a piggie (Ted) and bunny (Basil). These two boys mean everything to me and really do lighten my day up. 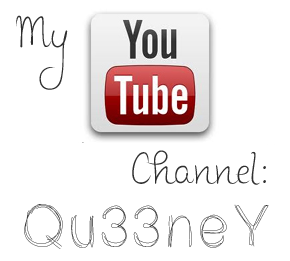 I also make YouTube videos under the alias Qu33neY. Love your 'hair' long and by that I mean, your hair looks really pretty ...but I love your FACE with the short *if that makes sense??! * like you have really pretty hair to be long, but your face is so gorgeous its like you need it short to showcase that beauty!